Training and development is the backbone of any organization and is one of the fastest growing industries in the world. We know that “Innovation is the key to success” and innovation can be achieved through excellent Training and development. We at Indian Leadership Academy provide premium Training and development solutions, customized to individuals and organizations. The curriculum has been designed by after evaluation of national and international Training and development standards. The trainer certification program is designed for individuals who are looking to enter the Training and development industry and also for individuals who are already involved in the Training and development industry but want to gain a cutting edge. The master trainer certification program is designed for individuals who are looking to enter into the corporate Training and development domain. This course provides advanced Training and development tools and also branded as a Training and development expert. 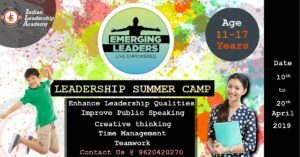 NLP, or Neuro Linguistic Programming, is a set of psychological techniques which helps in your Professional and Personal Development. You can use NLP in your corporate world as an excellent training and development tool to be a more effective team member, an effective team leader or a manager or in your personal life for better relationships, clear goals and overall wellness. One of the main qualities of a leader is to “produce measurable results with minimum utilization of resources and also influence others to do the same”. This can only be achieved through a strong leadership foundation which is imbibed by rigorous Training and development. The Foundation of Leadership Program has been designed to be the stepping stone of Leadership development. Neuroleadership is the result of neuroscience research in the field of leadership. This is one of the latest trends in the Training and development industry. It applies data gathered about the effect of leadership styles on brain and nervous system. This helps to alter leadership patterns to best suit the organization and results in a more dedicated and happy workforce. This is designed for team leads and line managers. The Training and development module covers how to set goals, meet deadlines, plan, prioritize and delegate and to communicate with accuracy and clarity. This module focuses on performance issues, how to inspire team members to create a productive team atmosphere. This Training and development module is designed to address those challenges and produce efficient results using NLP. There are increasing complexities in everyone’s life today. Starting from a CEO of a multinational company to a student struggling with his subjects, everyone needs a guide who can bring out the best in him and help him to deal with life and its various problems. The life coaching Training and development module is designed so to make you a coach who can understand and empathize with them, and keep them in a state of well-being always. Team Up is an integral part of the Training and development programs. It caters to theme based Team Building and outbound learning. We have specialized team building sessions for employees uniquely designed to cater to a theme. This Training and development module focuses to enhance the 5 must have qualities in every employee – Trust, positive attitude, Effective Communication skills, Good listening skills, and teamwork. In this exponentially growing ever expanding corporate industry, companies are no longer limited to a particular region, state or nationality. Teams in companies consist of employees from various languages, races and nationality. This diversity being an advantage can also pose some challenges. 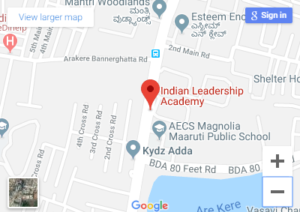 To overcome these challenges, we at Indian Leadership Academy have designed workshops which would help organizations function smoothly and bring with the highest level of productivity.